Unless you are already experienced at travelling in the wilderness you might be surprised to learn that hypothermia is actually the most common cause of death. It might seem difficult to believe but a beautiful hot day can quickly turn into a very cold night. This is why it is essential to think carefully before you pack for your wilderness trip. It is also important to consider how much you can comfortably carry. Filling your car boot is one thing but you are unlikely to be able to carry everything! To give you an idea of how dangerous any wilderness can be you should consider the fact that 250 hikers are rescued every year when hiking down and back up the Grand Canyon. This is a place where there is a set route and plenty of help; imagine how much worse it could be in the real wilderness! Food and water are essential, but you’ll find that shelter is even more important. You can survive approximately 3 weeks without food, 3 days without water but just 3 hours without shelter! The reason why is simple, as the chill sinks in your judgment will be affected and you’ll be unable to make rational decisions which could save your life. Clothing must be the first thing you pack. The best idea is to pack many layers this will ensure you can regulate your body temperature easily. It is important to include a good quality hat in your clothing, 80% of your body heat is lost through your head, and a hat will help you to keep most of it. If you are heading into the wilderness the best idea is to take a tent with you. Most modern tents are integrated with the ground sheet which will help to prevent bugs and water getting into your tent. However, to stay warm and ensure you sleep well you will also need a sleeping bag and a ground mat. The ground mat lifts you off the floor; preventing your body heat from soaking into the ground. You might be surprised at just how cold the ground can be! Of course water is an essential part of your wilderness packing. However, unless you are only going for a few days then it is extremely unlikely that you will be able to carry enough water to keep you healthy. The most important ingredients to ensure you can remain hydrated are at least two water containers and purification tablets. This means that you’ll be able to pick up fresh water or stream water and purify it, making it safe to drink. Purification tablets should always be carried, even if you think you have enough water to last your trip. You can take biscuits and snack bars but these will take a surprising amount of room and will not be as satisfying as a proper meal. The best option is to purchase a mess kit; this combines two or three pots with your basic cutlery. You’ll also need a camping stove and then dehydrated meals which can be easily cooked with water. You do need to choose things you enjoy eating! Mist people will tell you that you need a good knife to go into the wilderness. It can help you create a make shift shelter and even help you do a spot of fishing or offer some protection against wild animals. However, if you encounter problems and your food supplies run low you’re going to need to think about hunting. Unless you’re a seasoned hunter you will make a lot of noise crashing through the wilderness looking for potential prey. It will be long gone before you even see it. The best alternative is to invest in a good rifle. Then use this buyers guide to add a quality scope to it. With just a little practice you’ll be able to wait for the animal and shoot it before it even knows you’re there. This will dramatically increase your chances of surviving if food is running low. It is worth noting that a knife is a valuable piece of equipment as well, but you should consider carrying both. There are many different obstacles facing you in the wilderness but even something as simple as a tree root can lead to serious issues. One trip can result in a deep gash or even broken bones. This can affect your ability to get to civilization and can even cause serious health issues if a wound becomes infected. It is, therefore, vital that you have a first aid kit with plasters, bandages, painkillers, bit relief, antiseptic cream, gloves and anything else you think you might need. You should always carry any personal medication with you as well. You might think you know a specific piece of the wilderness like the back of your hand but it can surprise you! Landscapes can change after a storm or even one tree falling down. To make sure you don’t encounter unnecessary problems you should carry a map and compass with you. You also need to know how to use them! This will ensure you can find your way back from the wilderness when needed to. There’s a simple rule when you go into the wilderness; anything you take in you need to bring back. This means you’ll have to carry all the rubbish from your cooking and other activities. Rubbish bags will help you to protect your clothes and can even be placed away from camp to avoid attracting wild animals. A black bag can also be used to create a small makeshift tent if necessary or used as a poncho to keep you dry in a rainstorm. It can even go over your backpack to protect it from the elements. One roll of black bags takes up no space but can be an extremely valuable addition. If you’re in the wilderness it will get dark. The idea is to have finished and sleep while it is dark. But, if you adopt this theory you might find that there are times when you are still moving as darkness falls or that you are unable to check what the source of a specific noise was. You need to carry a good quality, preferably waterproof torch and a set of spare batteries. If the worst does happen and you are either injured or lost in the wilderness it is important to consider how you will get help. Your cell phone might work, but it might not. Even if you have signal you might not have enough charge after a few days in the wilderness. This is why it is essential to carry a good quality 2 way radio; it will allow you to contact others to alert them of your situation. Basic communication, such as a whistle or even a flare can also help to show where you are if you need rescuing. Staying warm must be a priority. The best way to do this is to light a fire. You’ll need some tinder; dry grass is excellent for this. Wood will burn once you’ve got the fire going; just start small and build it up. You should be able to locate those bits near where you are camping but the easiest way to start the fire is with a lighter. Make sure you are carrying one with plenty of lighter fluid in. You can then carry spare lighter fluid of a spare lighter to ensure creating a fire is not an issue. One of the easiest ways to carry rope is actually by having a paracord bracelet. Paracord is made up of a number of strands which are very strong. The paracord can be used as a whole or as individual strands. One bracelet can provide you with many meters of rope. You can find instructions online to create your own paracord bracelet, knife holder or even belt. This will ensure you always have rope with you. If possible when planning a wilderness trip you should take someone else with you. This will help you to deal with any issues you face along the way and make the trip more enjoyable. Perhaps more importantly a friend can offer protection and find food if you are injured. If you are unable to take someone with you then at least let someone know where you are going and when you intend to be back; they will then know when to start worrying! It is important to remember that everything you intend to take with you must fit inside your chosen backpack and you must be comfortable carrying it for extended periods of time. This is why it is so important to include the essentials on this list and not carry unnecessary weight. However, if you are going into the wilderness you may appreciate a pack of cards; they can help you pass the time if you are ever waiting to be rescued. This can help to ensure you stay positive, no matter what happens. Good list for those heading into the wilderness for pleasure. Your suggestions provide reasonable food for thought about “what to take”. 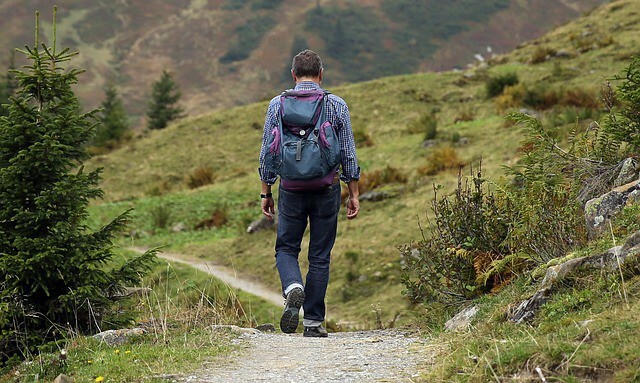 Here’s a suggestion for outdoor enthusiasts heading out for leisure adventure: after packing – but before departing – think about “what to leave behind”: write down details of your “plan” and leave it with family/friends, so if you don’t return within a reasonable time, search parties will have some idea about where to start looking for you. Thank you Sideliner, It’s so easy to forget the little things..